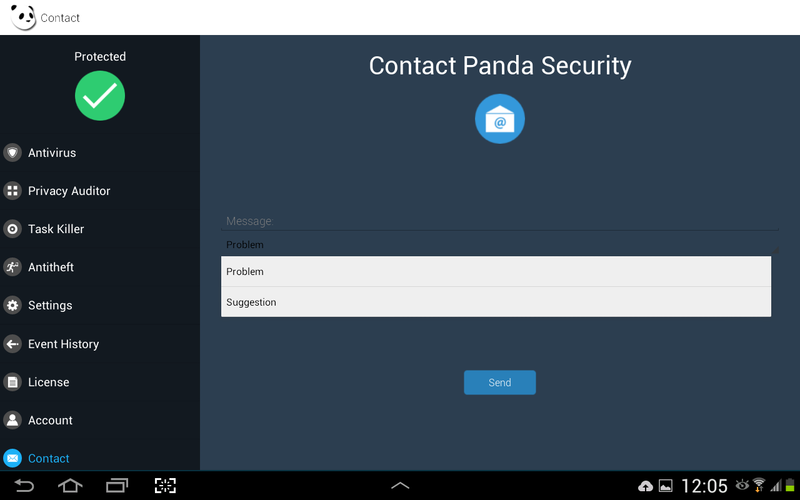 Open Panda Mobile Security by clicking the app icon. Access the Contact menu on the left. Select Problem from the drop-down menu. Type in the error code that appears when you try to activate your product and click Send.